Alstom is to supply 13 additional Coradia Polyvalent trains, worth about 80 million euros, to the French region of Occitanie/ Pyrénées-Méditerranée. The region has already ordered 33 Coradia Polyvalent trains since 2014; this latest order brings the total number up to 46, representing an investment of more than 330 million euros. The Occitanie region has ordered five dual-mode trains and eight electric trains, each comprising four carriages. The first Coradia Polyvalent for Occitanie entered commercial service in May 2014 on the lines connecting Toulouse to Latour-de-Carol and Mazamet. 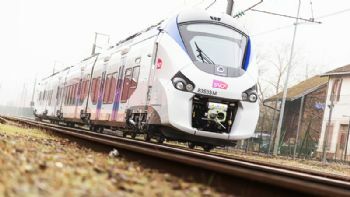 Jean-Baptiste Eyméoud, president of Alstom France (www.alstom.com), said: “This additional order is excellent news for the French railway industry and for Alstom’s sites in France. With its modular architecture, the Coradia Polyvalent can be adapted to the requirements of each public transport authority, as well as to different types of use: suburban, regional and intercity. It comes in three lengths (56, 72 or 110m). The development and manufacture of Coradia Polyvalent trains secures more than 4,000 jobs in France for Alstom and its suppliers. Six out of the 12 Alstom sites in France are involved in the project.